Now don’t get me wrong, I wasn’t actually getting down in the nitty gritty ripping up that 80’s tile on the floor. I’m not that crazy. I have a relative that owns Traditional Floors in Milan, IL. We bought all of our flooring from Traditional Floors. Great selection, great customer service. And also, great demolition people. Folks, it wasn’t pretty. It was pretty messy / dusty / loud / gross / (insert word here - yeah it was probably that). 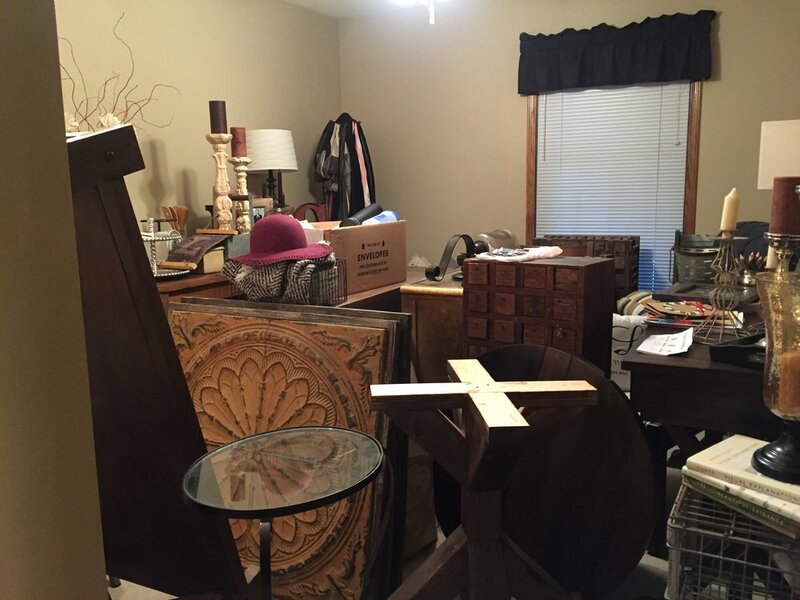 I knew ahead of time that it was going to be a big mess, so I literally moved all of my furniture and decor and filled our spare bedrooms; then I moved the TV into our bedroom (you will see why in a minute). It looked like a homemade antique mall. Glorified. I also knew that with the vent covers being off, we were going to get dust in the vents from all the removal and sanding. So (because I forgot to buy vent covers) I DIYed it. Grocery bags to the rescue. Attached them with a little painter’s tape. BAM, covers. When it came time to remove the tile in the foyer, we hung up plastic sheets to keep the dust out of the rest of the house. We also opened the front door (sorry neighbors, I know it was probably loud), it really helped get rid of the dust. Before I knew it, but hours later, the tile and carpet had been removed. Thank you Traditional Floors. You will be back. You’re probably thinking, well if they did all of the work, what were you doing? I’m so glad you asked! 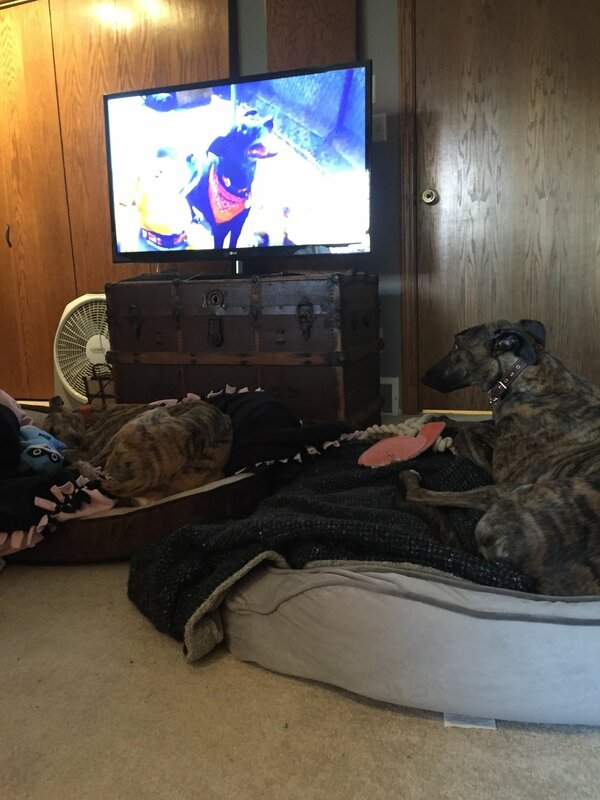 I was doing what all good (dog) moms do - turn on Dog TV and make sure they aren’t afraid of the noise. For the most part, Roman is good with anything. Nash, not so much. He is shy and even the littlest noise scares him. So, while Nash was burying his head under his toys, Roman was enjoying a great episode of Dog TV. After the removal process was finished, the install began. 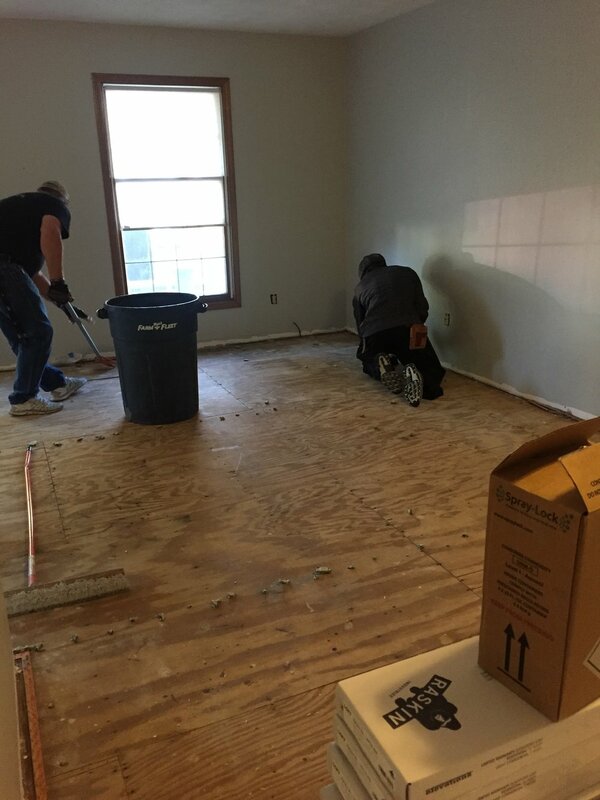 And after a day of work, we had a forth of the flooring installed. Doesn’t it look awesome!? I will admit, I was a little hesitant at first. Day three. The kitchen was completed (well, the flooring in the kitchen). I wish it was the entire kitchen. I am beyond excited to start putting my furniture back and making our ‘new’ living space. Newer PostEasy Holiday Craft Idea! Older PostKitchen Update - Hanging Drywall.